I thought a hundred times before penning this. But then I decided that I owe you this one. I was not on social networking sites much for the last few months. 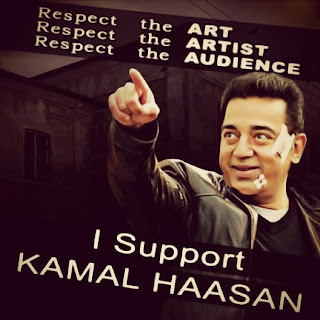 But when there was uproar about Vishwaroopam, I felt really bad and hurt and sought the voices of like-minded people. I saw the sites filled with posts on why the ban shouldn’t have happened and how we are insulting an artiste. I was happy and proud that there were so many people to your defence. Be it fans or just cinema lovers.